Most children go through a period of being unsettled at school, usually it is when they are just starting school or a new class and is separation anxiety related. This is perfectly normal and should be expected. Children see their parents or primary care givers as their safe haven, where they know the routine, what to expect, etc. So venturing into the unknown without mum or dad can be frightening but is usually overcome quite quickly. I’ll be writing about tips for preparing your child for starting “Big School” soon. Today’s post is about when your child becomes unsettled or upset as a result of a problem at school or preschool. Without going into too much detail, our little boy recently became very unhappy in preschool and was becoming very upset and anxious about going to school every day. He was complaining of feeling sick in his tummy and had started crying every day before school. Reasons for a child being unhappy at school can range from a problem at home to a new teacher in the room, to a disruptive child in the classroom to getting a hard time from another child. There are several reasons but most can be addressed and solved. If the problem is at home e.g. illness, money issues, relationship difficulties, etc. take time to look critically at your situation and how it may be impacting your child. Don’t be afraid to let your child’s teacher know if there are difficulties at home so that they can help support your child while he or she is in their care. These are some things you can do as a parent if your child is distressed as a result of an issue within the classroom. Talk to your child. Communication is key. They may only be young but generally they will be able to tell you what is wrong. Look for clues/cues as to what the problem might be. Sometimes children might find it difficult to articulate or pinpoint exactly what the problem is. Do they feel “sick” after school is mentioned. Are the “difficult” in the morning before school, refusing to get dressed. Have they begun using phrases like “I hate school”? All these could be an indicator that something is wrong. Talk to the class teacher. Let them know that your child has become very reluctant to come to school. Ask is there a problem in the room. If your child has told you the problem, e.g. another child is hitting them, tell the teacher that, exactly as your child told you. Arrange for a 1 to 1 meeting with the teacher so that you can speak openly and honestly without little ears overhearing. Keep in regular contact with the teacher. Now that the teacher is aware that something is bothering your child they should be able to address the issue and keep an eye on things. Hopefully you should see an improvement. Speak positively about school to your child. Focus on the positives. Help them to positively problem solve solutions to things that are bothering them. Encourage him or her to talk to their teacher if there is a problem. Keep upbeat and positive, do not allow your own upset and anxiety affect your child, they pick up on everything! This is easier said than done but very important. Meet with management. If things don’t improve and haven’t been resolved following regular communication with teacher it is a good idea to sit down with the management and discuss your concerns. I always think that it is a good idea to arrange a meeting and indicate that you will email an outline of your concern prior to the meeting. This has two purposes, number 1 as a parent it allows you to articulate in writing what you perceive the problem to be, allows you to outline exactly what has been happening, how your child has been feeling. Sometimes when you go to a 1 to 1 meeting it can be difficult to get everything across to the other person, especially if you are nervous or upset. The second reason for putting your concerns in writing is that the management now have a written record of your concern and have an opportunity to discuss the matter with your child’s teacher. Use the meeting to express your concerns but also to come to a resolution that is best for your child. Agree on a plan to help your child, make suggestions as to what you think might work. You are your child’s voice, their advocate, don’t be afraid to speak up if you think there is something in particular that needs to be done (I say this as both a parent and a teacher). Play your role in implementing the plan, be positive, keep communicating. Talk to your child about what you and teacher are going to do to help him or her be happier at school. You may need to spend a few days re settling your child into the classroom just like you would have when they started. Take things slowly, but be firm and positive. Never just sneak away. Tell your child that you are leaving, that you will be back and that teacher will look after them. Keep things simple. If your child is unsettled at school, they are more likely to be very tired when they get home. Reduce activities for a little while, spend some quiet time together, read positive stories about school, organise a couple of playdates with good school friends. Praise and encourage them at every opportunity. As you can see communicating and being positive are key to working through this upsetting time. Again, you are your child’s voice, it is your responsibility to speak up for them when required. It is also your responsibility to help your child to deal with and try to resolve the issues themselves if possible, helping them to become confident and resilient little humans. Good article. My niece starts later this year and I’m hoping it all goes smoothly for her. Hope it goes well for her. Thanks for taking the time to read and leave a comment. Although my kids aren’t school-aged now, I have filed this away for future reference. There is plenty of helpful stuff here. Hi there and thanks so much, delighted you found it useful! Thanks for stopping by and leaving a comment! It’s really useful reading this, especially as you are both a parent and a teacher. I’ve always tried to follow these steps and even when it has been tricky, we’ve managed to steer through. Thanks. As a long time preschool teacher, I agree with your pointss of how to help. Keeping the lines of communication open with the teacher is so important. Good list. Thank you. You’re right, regulation communication is really important. This is a great list. I’m dreading the day when my child is unhappy at school, but I know that at some point it will come, at least for a little while. I especially love number 10. Sometimes I feel like I need to fill my kindergartners afternoons with reading and homework but then I think hey waaaait a minute. He’s just a little guy and has been at school for seven hours. Give him a break. My son has just recently switched from the Toddler class to the Preschool class at his school, and I have noticed that he has been sad about the change, especially in the mornings. A lot of it has to do with him embracing this change as a positive one, and his teacher and I have been working together with him to make the transition a great one. I love that you have shared some ways to get through it – all are great points and using these tips will definitely help to make it better. Thanks so much Natasha, I hope he settles well soon, transition is always hard! Thanks for stopping by and for your kind words. 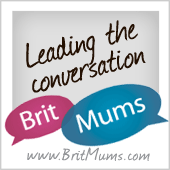 Love linking up with you, it’s such a great collection of links and brilliant variety! Thank you Sharon, exactly, that’s a really good piece of advice to bring another adult, good support but also that person may be able to be more objective if needed. Thank you reading and for pinning and adding to the discussion. These are some good tips. I do worry about this a lot, especially since my son is a little shy. PInning this! Thank you Tarana, my little boy is quite shy too and I worry quite a lot about him. Thankfully he has a little group of very good friends which really helps. Thanks so much for visiting Merlinda, don’t know about you but I’m dreading the transition in September (and I’m a primary teacher!!!) but thankfully my son is really excited about starting primary school. Hope your son settles well and enjoys the next big step in his education! Pingback: How do you do it? Parenting Link Up #22 | What's up Fagans? Delighted to have found this post. Currently experiencing a little of this here at the moment. I suspect we have a lifelong battle just beginning but I need to be able to provide him with the skills and mental ability to make the best of a situation he’s not too keen about. Hope this is of some help, please feel free to contact me if you think I could advise/help further. Hope you manage to resolve your situation. Thanks so much for the warm welcome on FB earlier! Pingback: How do you do it? 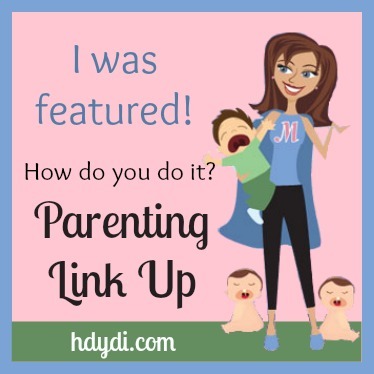 Parenting Link Up #22 - How Do You Do It? Thanks and you’re welcome. I changed hugely as a teacher once I became a parent, it’s great having both perspectives. Thanks for visiting. Thank you so much. Yes, we really have to focus on communicating with our children, to help them express how they are feeling, what’s going on with them. You rightly point out that we must model appropriate means of resolving the problem. Thanks for visiting. I’m so glad things worked out for you and your little girl, my little man seems to be alot happier now too thankfully. My daughter has been irritable as of late — since she’s homeschooled, I’m her teacher, too. I’m looking over these ideas to try and help her out. I featured you over at The Thoughtful Spot – thanks for linking up! Thank you so much much! Hope you manage to figure out what’s bothering her. Have a great weekend! Great article. Communication is so key in this teacher/parent/child relationship and it’s so important to use these lines of communication. I think a lot of parents forget that schools are usually more than willing to listen to any concerns – after all it all helps them in the classroom too. Brilliant advice! I love when parents offer to help me out, you really get to build a lovely relationship that way! Thanks so much for your contribution! This is some really good information about preschool classes. My nephew is going to be starting school next year. It is good to know that an everyone should talk positively about school. It is good to know when we go to family gatherings this holiday season.